If you are pulled over under the suspicion of a Virginia DUI, it is highly likely that an officer will ask you to submit to a breath test. 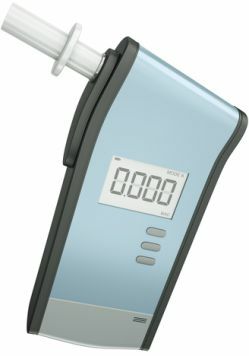 In such a test, a breathalyzer machine will be used to determine the amount of alcohol in your system. If you refuse to submit to a roadside breath test, there is a strong likelihood that you may be arrested for refusing to do so, but this also may prevent the state from obtaining evidence against you. If, however, you are arrested and taken to the police station, and you refuse a blood or breath test there, you will definitely be arrested and charged for a violation of Virginia's implied consent law. This is a separate charge from your Virginia DUI. Why must I take a breath test? When you apply for a driver's license in Virginia, you automatically agree to submit to a breath test if an officer asks you to do so. In fact, this is written into the papers that you sign when you are issued your driver's license. In short, the fine print states that if you are pulled over for a traffic violation, you must comply with the police officer's requests. This is typically referred to as Virginia's implied consent law. Therefore, while you may refuse a breath test at the scene, if you refuse to take a breathalyzer or blood test at the police station, you will be in direct violation of Virginia's implied consent law. This violation will have its own penalties above any consequences you may face for being convicted of a Virginia DUI. If you are charged with a DUI and for violating Virginia's implied consent law, you should call a Virginia DUI defense attorney to discuss your options for fighting the charges.